By capturing thermal images, it is possible to identify the temperature differences on a roof and locate the areas with bad thermal insulation. Get An Overview Of The Thermal Envelope Of A Building At A Glance. With this solution, it is possible to identify thermal irregularities on the envelope of a building and even inaccessible areas safely. 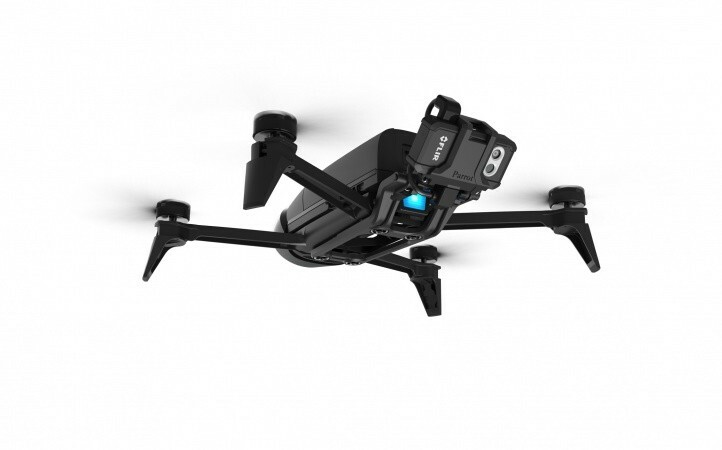 Parrot Bebop-Pro Thermal is light (604 g), robust, safe and easy to carry. The front camera 14 MP enables you to capture high-res photos and Full HD videos at 1080p. With Parrot Skycontroller 2 you can fly the drone exactly where you want, giving you the opportunity to inspect inaccessible areas. Thanks to its Power battery, the drone can fly up to 25 minutes. The mobile app is free and only compatible with Parrot Bebop-Pro Thermal.